Coach Kehoe is beginning his fourth year as a coach of the Central High School Red Devils, second year as head coach. Kehoe, a graduate of Hammond High school in Columbia, Maryland, received his Bachelor of Science Degree from Auburn University Montgomery, where he was a member of the 1992 National Association of Intercollegiate Athletics World Series team. He last played professional baseball for the Pine Bluff Locomotives (Pine Bluff, AR) of the Big South League. He received his Masters of Science in Curriculum Development from Arkansas State University in 2014. Coach Kehoe has been a head coach for 20 of his years coaching, with a career record of 451-196. He has led three different schools to 8 region championships. He was named 2006 region Coach of the Year by the Georgia Athletic Association, 2009 5A Coach of the Year by Alabama Sports Writers Association, and 2012 Auburn -Opelika News Coach of the Year. Coach Kehoe spent nine seasons at Beauregard High School where the Hornets played in 18 playoff series, won 4 Region Championships, 5 Area Championships and a trip to the State Finals in 2012. Kehoe is married to the former Brooke Wells of Wetumpka, Alabama. They have three sons: Jay, Cole, & Cooper. 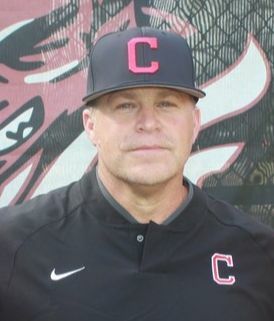 Coach Skinner is beginning his sixth season as an Assistant Coach for the Central High School Red Devils. Prior to his high school playing years, Skinner was the second baseman on the 1999 Little League World Series team that won the U.S. Championship. He also played second base and pitched for the 2001 Dixie Boys World Series champions. Coach Skinner is a 2005 graduate of Glenwood School in Smiths, Alabama, where his team won an AISA State Championship in baseball his senior year. He pitched and played shortstop for the Glenwood Gators and was awarded the Golden Glove Award all four years of his high school career. Additionally, he lettered in football, wrestling, and basketball. He attended Auburn University, where he was the starting shortstop, after being red-shirted his freshman year. After suffering a season-ending injury, Coach Skinner transferred to Columbus State University in Columbus, Georgia for the 2009 season. He led the country in double plays while also batting .362 with 14 doubles his junior year. He was awarded the Southeastern Gold Glove Award his senior year. Coach Skinner graduated from CSU with a Bachelor's in Exercise Science. He will earn a Master's in Health and Physical Education from the University of West Alabama this year. Skinner is married to the former Britleigh Butler of Columbus, Georgia. They have two daughters; Ella Grace and McKinley Reece. Coach Butler is beginning his fifth season as Assistant Coach of the Central High Red Devils. Butler is an alumnus of Demopolis High School where he earned a baseball scholarship to play at Central Alabama Community College in Alexander City, Alabama. After completing his two years at CACC, he continued his baseball career at Shorter University in Rome, Georgia, graduating with a degree in Sports Management. Butler spent two years coaching at Marengo Academy in Linden, Alabama. As an assistant in year one Butler was responsible for coaching hitting and outfield positions. The team was one of the top hitting teams in the state, hitting an impressive .375 as a team. Butler took over as head coach in year two, winning district coach of the year, an award voted on by the coaches in the surrounding area. He moved on to complete his Master’s in Business and Marketing Education from Auburn University and then served one year at Sweetwater High School as Head Junior Varsity coach, hitting coach, and infield coach before accepting a position at Central High School. Coach Butler is also a Childhood Cancer Survivor, surviving a battle with Acute Myeloid Leukemia at the age of 15, a cause about which he is very passionate! He is married to the former Katie Dubois of Coatopa, AL. They have two children: a son, Easton and a daughter Lily. Bryan Eason is beginning his second year with Red Devil Baseball, but his 12th year of teaching and coaching. Coach Eason is a graduate of Pacelli High School where he was a three sport athlete, lettering in football, wrestling, and baseball. He was part of the 2000 and 2001 State Runner-Up baseball teams in which he pitched and played outfield. His high school honors include All Area and 2nd Team All-State for pitching in 2002. He also attended Columbus State University and Alabama State University. Coach Eason holds degrees in history, English, and education. After college, he returned to his alma mater to coach all three of his sports. He served as the assistant head coach on the 2008 State Championship baseball team. He also served as the head football coach from 2007-2010. After his tenure at Pacelli, Coach Eason joined Coach Kehoe's staff at Beauregard High School as an assistant coach and was a part of the 2013 5A State Runner-Up squad. Coach Eason specializes in strength and conditioning (NASM certification), catchers, and outfielders. He has the honor of sending over 25 players to the next level during his coaching years. Coach Eason is married to Stephanie Eason. Coach Dawkins is entering his third year of coaching in the Red Devil program. Originally from Rockdale County, Georgia, he played 4 years at Rockdale County High School where he split time between first base and on the bump. Coach Dawkins is a multiple sport athlete! He was also a member of the Rockdale swim team for three years. After graduating from high school, Coach Dawkins played at Point University in West Point, Georgia where he played first base for the Skyhawks. During his senior year at Point University, Dawkins was a part of the first Point University team to make it to the NAIA World Series in Lewiston Idaho. Coach Dawkins graduated from Point University with a degree in middle grades education with a concentration in history and language arts. 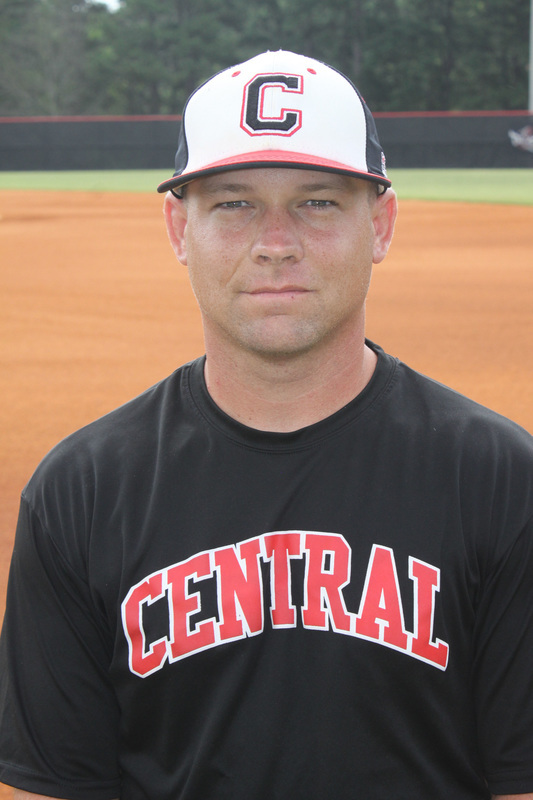 Coach Davis is entering his second year as a Central High School assistant baseball coach. He is a graduate of Russell County High School, where he was a shortstop. His senior year batting average was over .400 with 75 hits, 18 doubles, 11 home runs and 50 RBI. After high school, Coach Davis continued his baseball career at Gulf Coast State College making the transition to outfield during his two years there. After Gulf Coast, he went on to play at Troy University. He finished his college baseball career in 2017 with a batting average of .313 and 22 home runs; starting all but six games during his college career. Coach Davis has a degree in Social Science with a minor in Exercise Science. Coach Jackson is entering his first year as a Central High School assistant baseball coach. Jackson graduated from Central High School in 2014 where he played third base and pitched as a three-year starter for the Varsity Red Devils. He was the team captain his senior year. He was also Salutatorian of his graduating class. After high school, Coach Jackson attended Jacksonville State University in Jacksonville, Alabama and graduated with a Bachelor’s in Mathematics, Secondary Education in 2018. During his time at JSU he served as an assistant JV and Varsity baseball coach at Weaver High School in Weaver, Alabama. Coach Jackson returned to his roots to begin his teaching and coaching career at CHS and mentor the young adults of this school as he was as a student.